The all-new 2018 Subaru Crosstrek gets more accolades, and it’s more than a cute CUV. Subaru scored a big win with the total redesign of the 2018 Subaru Crosstrek crossover. It’s more than just a cute CUV for city commuters. According to BestRide, it’s the best new model among the 12 vehicle classes they tested. The new Crosstrek took home their best new vehicle in the Subcompact Crossover/SUV category, and even more impressive, it wins “BestRide of the Year” honors too. The small crossover beats an impressive field including, the 2018 Hyundai Elantra GT, 2018 Honda Civic, 2018 Toyota Camry, Volvo S90, Volvo XC90, 2018 Nissan Rogue, 2018 Range Rover Sport HSE, 2018 Mazda Miata RF, 2018 Dodge Challenger GT AWD, 2018 Lexus LS 500 F Sport, 2018 Ram Rebel, and 2018 Ram Power Wagon. BestRide says three vehicles stood out as unanimous winners in their categories. The Honda Civic, the Subaru Crosstrek and the Ram Power Wagon, and it was the Subaru that wins the grand prize. What makes the 2018 Crosstrek better than all these new vehicles? This isn’t the first accolade for the new 2018 Subaru Crosstrek. 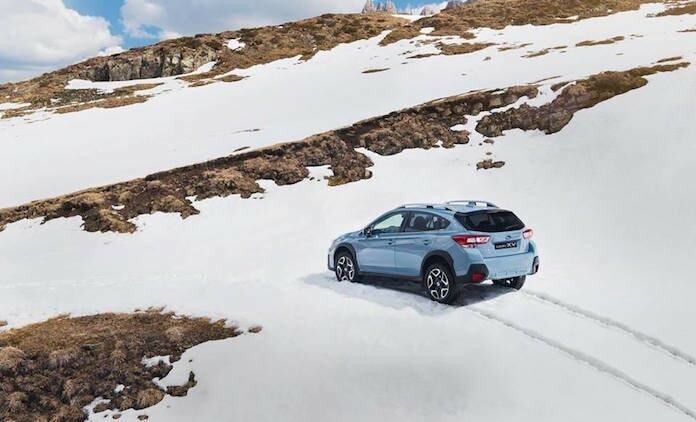 According to OzRoamer’s annual Car of the Year (COTY) awards, the new-generation Subaru Crosstrek is the best all-wheel-drive vehicle under $45,000 (Australian) on the market for active families who want to get away from civilization. They also applauded the small crossover for its off-road abilities. And they should know with lots of rugged terrain in the Australian outback. Subaru says about 33 percent of Crosstrek owners will take the all-wheel-drive vehicle off-road. It’s why they now offer the extreme X-Mode off-road feature on the new-generation model. The awards are beginning to roll in for the new-generation 2018 Subaru Crosstrek and it’s the “go-anywhere” attitude that is the common theme.